Peruvian economic policy has varied widely over the past decades. In the 1990s the government's liberalizing ended price controls, protectionism, restrictions on foreign direct investment, and most state ownership of companies. Services account for 53% of Peruvian gross domestic product, followed by manufacturing, extractive industries, and taxes. Recent economic growth has been fueled by macroeconomic stability, improved terms of trade, and rising investment and consumption. Peru's trade is expected to increase further after the implementation of a free trade agreement with the United States signed in 2006. Peru is one of the top 10 coffee producing countries in the world; coffee is also a flagship product of Peru. In recent years, Peru has been experiencing a surge in commodity exports. The major exports of Peru are copper and gold. Others include gasoline, zinc, fish meal, lead ore and textiles. Major export partners of Peru are United States, China, Chile, Canada, Germany, Spain, South Korea, Brazil. 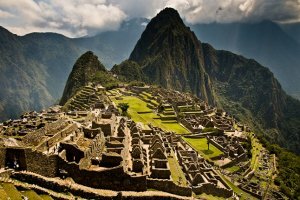 The economy of Peru is considered to be an upper middle income economy and is the 39th largest in the world. Peru is one of the world's fastest-growing economies owing to the economic boom experienced during the 2000s. Historically, the country's economic performance has been tied to exports, which provide hard currency to finance imports and external debt payments. Although they have provided substantial revenue, self-sustained growth and a more egalitarian distribution of income have proven elusive. According to 2010 data, 31.3% of its total population is poor, including 9.8% that lives in extreme poverty. Though the economic policies of Peru are growing better. The extent of poverty is largely concentrated upon the rural areas. Major imports of Peru are crude and refined oil, trucks, buses and light trucks and industrial machinery and equipment. Other important commodities imported by Peru are petroleum, iron and steel, and food items. Major import partners of Peru are China, United States, Brazil, Mexico and South Korea. In the recent years, the country has experienced both trade surplus as well as balance of payment surplus. Peru is a country situated in western South America, bordered by Ecuador, Colombia, Brazil, Bolivia, Chile, and washed by the Pacific Ocean. Peru is an extremely biodiverse country. It is a developing country with a high Human Development Index score. Peru is a member of the Asia-Pacific Economic Cooperation, World Customs Organization, International Monetary Fund, World Trade Organization, International Organization for Standardization, Southern Cone Common Market (Mercosur, associate) and other international organizations. Peru's tax and customs agency, the National Superintendence of Tax Administration, applies many regulations and laws, creating additional investment and trade barriers. Peru made trading easier by implementing a new web-based electronic data interchange system, risk-based inspections and payment deferrals. Peru is a member of the Andean Community and it applies the Nandina code, which is a harmonized tariff system used by all CAN members, and which conforms to the WTO Harmonized System (HS). Peru is also a contracting State of the World Trade Organization (WTO). In addition, it has signed various bilateral agreements guaranteeing most favored nation treatment. - 23% on about 11% of products that can be imported (textiles, shoes and some agricultural products). The non weighted average Customs duty is 10.2%, whereas it was more than 60% in the mid 1990s. 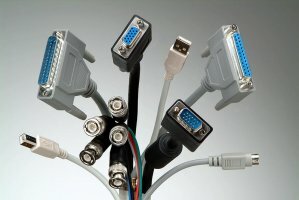 In addition, Peru imposes no quantitative restrictions on imports. - Initial correspondence with potential business partners should be in Spanish, as letters in English are more likely to be given lower priority. - Personal contacts do play a special role in Peru and can make the difference between finding an open or a closed door. - Local distributors, agents or representatives can facilitate business however finding the appropriate person or company to represent your company’s goods and services requires market insight and knowledge. 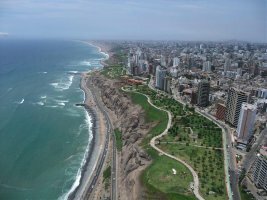 - Peru’s banking system is relatively modern and Lima is home to several multi-national banks including Scotia Bank, HSBC, Citibank, Standard Chartered, USB and BBVA. Opening accounts without the correct documentation and resident papers may be difficult.